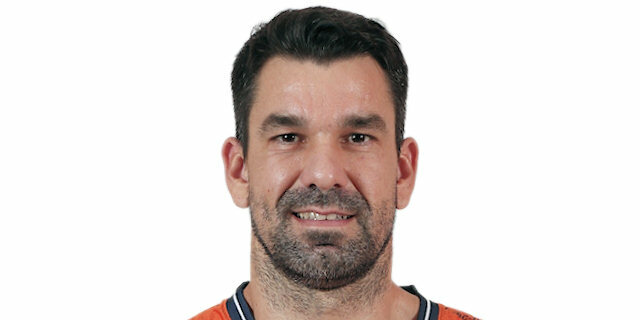 Power Electronics Valencia celebrated reaching the Turkish Airlines Euroleague Top 16 by beating Union Olimpija 78-77 on a buzzer-beating three-pointer by Dusko Savanovic. The finish was a true delight for the fans at Fuente de San Luis, with the lead changing hands five times in the final few minutes and three times in the last 38 seconds. It seemed destined for Olimpija after Kevinn Pinkney rejected Savanovic in the final seconds and Kenny Gregory went to the line up 1 with 1.3 seconds left. But he missed the first and when he tried to miss the second, it went in, giving the hosts one final shot. Savanovic took full advantage of it, drilling the game-winner and setting off celebrations throughout the city. Valencia improved to 5-5 and secured its and finished the second half to the regular season with a 4-1 record, good enough for fourth place in Group D after Armani Jeans Milano lost to Panathinaikos in a game that ended minutes later. Savanovic, Omar Cook and Rafa Martinez all scored 14 for the winners, while Robertas Javtokas. Pinkney finished with Euroleague career highs of 27 points and 9 rebounds and Gregory matched his best with 21 points plus 6 assists. Vlado Ilievski added 10 for Olimpija, which dropped to 6-4 and finished second in the group. Victor Claver gave the fans a reason to smile with a slam on his team’s first possession. Pinkney was fortunate to grab a loose ball in the paint for Olimpija’s first points before Saso Ozbolt knocked down a triple. Claver added to his tally and Javtokas put Valencia back on top with a baby hook. Pinkney remained the weapon of choice for the visitors and Claver set up Javtokas to keep the teams neck-and-neck. Martinez found room for a jumper and then knocked down a three to make it 13-9, prompting a timeout from Olimpija head coach Jure Zdovc. Gregory came through with a slam after the talk, but Javtokas matched him at the other end and then Cook pulled up from downtown to put his team up 7. Valencia continued to roll as Martinez knocked down a three to make it a double-digit lead. Ilievski stepped up with a three to fuel his team’s efforts, but Cook’s second three kept the hosts sailing. Ilievski had another three in him, though Nando De Colo sank free throws and then fed Claver for a high-flying slam on the break to beat the buzzer and give Power Electronics a 29-17 lead after 10 minutes. Although the Valencia attack cooled down in the second quarter, the hosts’ defense remain iron-clad. Gregory finally broke through with a triple after more than two minutes had past. Pinkey scored next as Olimpija looked to claw its way back. Cook scored Valencia’s first points of the quarter from the line after more than three-and-a-half minutes had passed. Gregory used his speed to score down low before De Colo thrilled the crowd with a steal and layup. Pinkney worked his way for a basket-plus foul, trimming the deficit to 33-29. Gregory then made it a 1-point game with a three-pointer. Pinkney had some luck when he banked in a deep three to beat the 24-second clock to cap a 0-11 run and complete the comeback. Cook put the hosts back ahead only to see Sasu Salin shake off a defender and sink a triple. Damir Markota’s last second attempt to build on the lead was rejected by James Augustine, but still the visitors took a 36-38 lead into the halftime break. After the teams traded baskets to open the second half, Cook stepped up with a big three to put his team on top again. Gregory impressed as he beat Claver off the dribble for a layup, but Cook found Javtokas for a slam and then stole the inbounds pass as the pace and the intensity picked up. Gregory remained the go-to guy for the visitors, but Valencia found answers through Javtokas and the Savanovic to tie the score at 46-46 and 48-48. The back-and-forth continued with every second basket tying the score through the end of the quarter, which ended with the scoreboard showing 54-54. Pinkney continued to thrive on the pick-and-roll, getting inside for a layup and then drilling a triple to start the deciding quarter. Claver knocked down a step-back jumper to revive the cheers from the local fans. De Colo brought the hosts within 1 from the line, but Goran Jagodnik stepped up with a triple for his first points of the game and a steal by Ozbolt led to a Giorgi Shermadini slam and a 58-64 Olimpija lead. 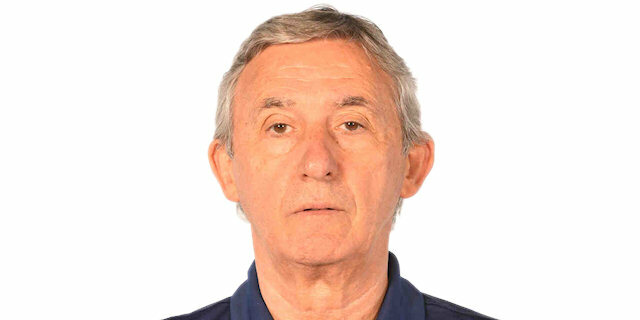 Valencia head coach Svetislav Pesic called a timeout to recharge his cadre. Serhiy Lishchuk swished a baseline jumper, but Jagodnik impressed with a turn-around jumper of his own. Dino Muric pumped the lead to 60-68 as the pressure started to mount. Savanovic responded with a triple. Shermadini scored 2 from the line and Lishchuk responded with a pretty jump shot. Martinez stripped Marque Perry and cut the gap to 4. A red-hot Lishchuk came through with another jumper with the Olimpija offense stuck, making it a 2-point game as Zdovc used a timeout to regroup with just over three minutes remaining. The arena exploded when Martinez drained a deep three for Valencia’s first lead of the fourth quarter, 71-70. Savanovic completed a 10-0 with 2 free throws. Pinkney countered with 2 from the line to make it 73-72 with 1:07 remaining. After a timeout, Lishchuk couldn’t handle a pass and Gregory punished the hosts with a bank shot to put his team back on top with 38 seconds to go. Martinez missed from downtown, however Lishchuk controlled the rebound and Savanovic delighted the fans with a foul-line jumper with 14.4 seconds to play. Ilievski was left open and quickly scored to put Olimpija ahead. Cook pushed the ball up and fed Savanovic, but his shot was rejected by Pinkney. Valencia fouled Gregory, who missed the first, but made the second, giving the hosts a final shot with 1.3 second left. And Savanovic took full advantage, knocking down an open three to win the game. "It was a game that went as we expected against a very tough team. Congratulations to my players, who are in the Top 16. We thank our fans for the atmosphere, it was great." 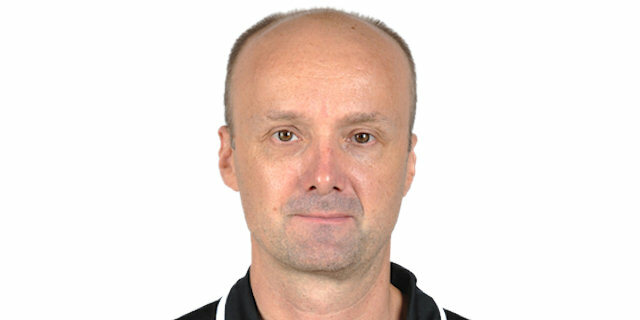 "I want to congratulate Valencia Basket, coach Pesic and also my players. The only difference was the last shot. I hope these kind of things are positive for our future in the competition." "It was great. It’s something fantastic for our fans and for the club to get into the Top 16. The game was difficult as we knew it would be, but we got the chance to shoot the last shot. Now it’s time to enjoy." "It was a great game, decided by one shot. Unfortunately I tried to miss the last free throw, but these things happen. I’m very happy to come back to Valencia, it’s a great place, but we wanted to win."